James Fortune was born and raise in Richmond, TX. He was raised in the church where his dad was the pastor. He started playing drums @ age 5. In 1998, Fortune, formed a community gospel group called YFC (Youth For Christ). They ministered @ various youth conferences, churches and other community events. As he grew older and closer in his relationship, God moved Fortune to change name to FIYA (Free In Yahweh's Abundance), which stems from John 10:10b, I come that you might have life and have it more abundantly. This is the message that he brings through ministering. Fortune released his 1st project in 2004, the single was entitled, "You Survived". This song broke gospel and billboard charts, touching the hearts of so many people. Fortune also received the 2006 ASCAP award for You Survived being one of the top 5 songs in the country. Even now, You Survived is still ministering to the hearts of people. In February 2008, Fortune released new project entitled, Transformation, featuring Anaysha Figueroa, Nakitta Clegg-Foxx, Zacardi Cortez, Gene Moore, Shawn Maclemore, Nikki Ross and Josiah Martin. Romans 12:2- And be not conformed to this world: but be ye transformed by the renewing of your mind, that ye may prove what is good, and acceptable, and perfect, will of God. The first single released from this project was, I Trust You, a message of hope to the people, even with everything going on in the world, high gas prices, poverty, relationships, jobless, sickness.... you will still trust God! This song is currently #3 in the country on Gospel Charts. If you have not had an opportunity to experience the Transformation, I encourage you to purchase this CD. It is life-changing, uplifting and inviting. You can purchase this CD @ your nearest Wal Mart, Best Buy, Lifeway Christian Bookstore, FYE, other local music stores and online. 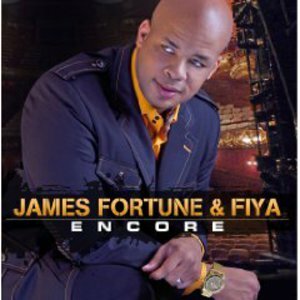 May you experience just what you need from GOD through the ministry of James Fortune & FIYA!